Background: In 1992 the state of Maryland mandated all students in the Maryland public school system would be required to do service-learning. The State Department of Education stressed that students "shall do no less than 75 hours of service or that each county would design their own plan showing an equivalent of 75 hours". Garrett County designed their own plan which is currently undergoing revisions to meet the recommendations of the Maryland State Department of Education. Currently, the old plan remains in effect for graduating classes through 2021 which includes 30 hours in middle school, 5 hours in high school and 40 independent high school hours to meet the 75 hours requirement. For all students in graduating classes 2022 and beyond, 50 hours will be embedded in middle school, 10 in high school, and 15 will remain independent at the high school level. Students may begin the high school independent hours as soon as they have passed grade 8. Purpose: Service -learning is a process that includes preparation, action, and reflection. The goal of revisions to our plan is to promote a stronger focus on the service-learning Seven Best Practices and Common Core and to include more embedded hours in the existing curriculum. 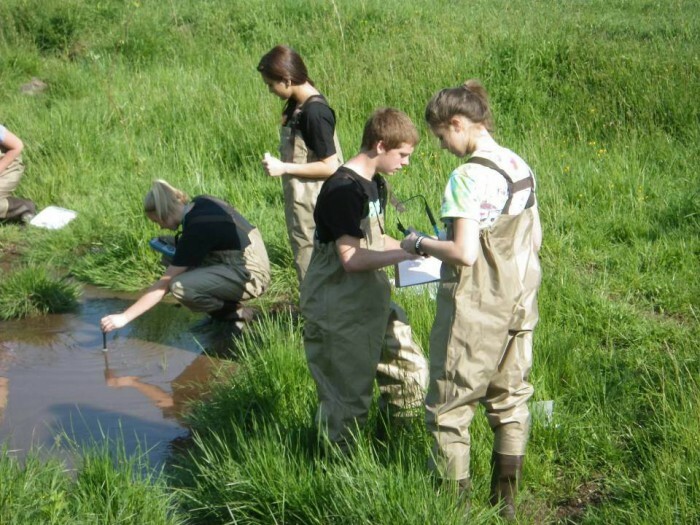 Implementation: In Garrett County, service-learning begins at the middle school level. Students gain service-learning hours through class projects and studies that pertain to service-learning. Should a student refuse to participate in these classroom activities, then that student would still be required to complete the hours when they move to the high school. Students continue to receive service-learning information and instruction in high school with an additional 40 independent hours required as well. Please see new requirements for students in graduating classes 2022 and beyond. Special needs students are included in regular instruction. Service-Learning instruction and activities will be modified appropriately in accordance with the student’s Individualized Education Plan. Should a student be exempt from the requirement due to his/her profound disability, then this information must be documented on the IEP. Note: It is extremely important that students try to complete their hours before entering their senior year. Because of the busy schedules seniors have, classes, cars, jobs, etc., it is very difficult to complete the service-learning obligation. Seniors should not wait until the last minute to try to complete hours. Remember, 40 hours is one week which is eight hours per day! There are no organizations that can accommodate that many hours at one time when school is in session, nor should a student demand that of an organization. Resources: There are several resources to assist students in identifying appropriate opportunities and activities to complete independent hours. Students, parents and guardians may visit the guidance office and look through the service learning organization list or click on the link index list to access the list of approved area agencies. Contact the Youth Development/Service Learning Supervisor at 301-334-8911 and check out current opportunities. School Service Learning Coordinators can also assist in finding opportunities that meet student career goals as well as meet the service requirement. Updates will be available through our board of education website, Facebook site, school sites, and other media. Local newspapers also have a listing of community happenings and areas in which there may be service learning opportunities. Getting Credit for Hours: Currently, students must fill out the validation forms which can be found in the guidance offices at each school. These forms are in triplicate form and must be completed within four months of the date that the activity was completed. Service-learning can be a fun and rewarding experience if it is meaningful and enjoyable. Many colleges and universities now ask for service-learning information and many employers are interested in what students do in their spare time! As changes are made to the program, information will be updated on this site and in the handbook that will be provided to all students.